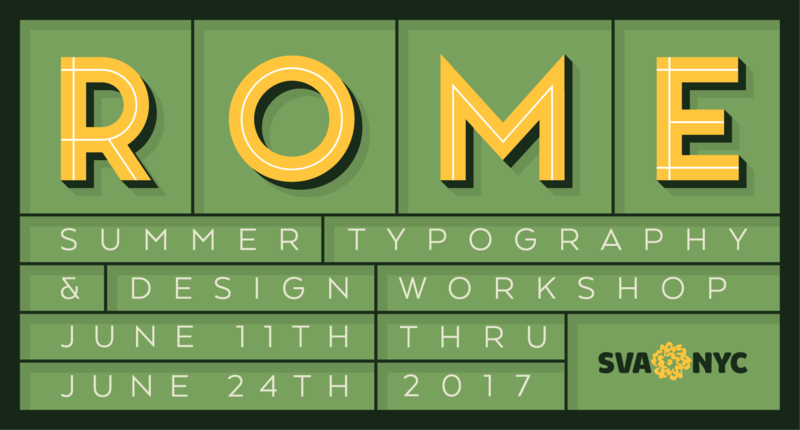 The Masters Workshop in Rome is an exciting way to learn about type and typography, book and lettering design, as well as architecture, art, archaeology, epigraphy, and even Italian cuisine. Study with the best typographers and designers in Italy. Visit the Trajan Column and see the inscriptions that has long been accepted as a typographic ideal. And get an exclusive “behind-the-stacks” tour of Biblioteca Angelica, the oldest library in Europe that houses original Bodoni type books, and so much more. For more information, visit design.sva.edu/italy.